Debe realizar reservaciones con al menos 5 minutos de adelanto en Casa Teresa. Mis padres Gus y Provi fundaron un pequeño restaurante artesanal llamado Roma Restaurant en Winnipeg, Manitoba, poco después de emigrar de Termini, Imerese, Sicilia, en 1949. Junto con su delicioso menú de comidas de temporada, se dedicaron a su cultura tradicional y utilizaron técnicas de cocina de la hermosa isla de Sicilia. ¡Soy una apasionada de mi herencia siciliana y me siento honrada de compartir y continuar el arte del “Mangiare Bene”, usando las recetas de nuestra familia, compartidas ‘al fresco’; en el pintoresco patio privado de nuestro hogar! Nuestro menú se crea diariamente según lo que descubramos en los mercados locales, que se prepara solo en el momento de la orden. ¡Esperamos poder compartir el amor de nuestra familia y nuestra mesa! We were incredibly disappointed with our dinner. The lasagna noodles were overcooked and it tasted like a bunch of mush. My shrimp dish was horrible and the shrimp was cooked like rubber. 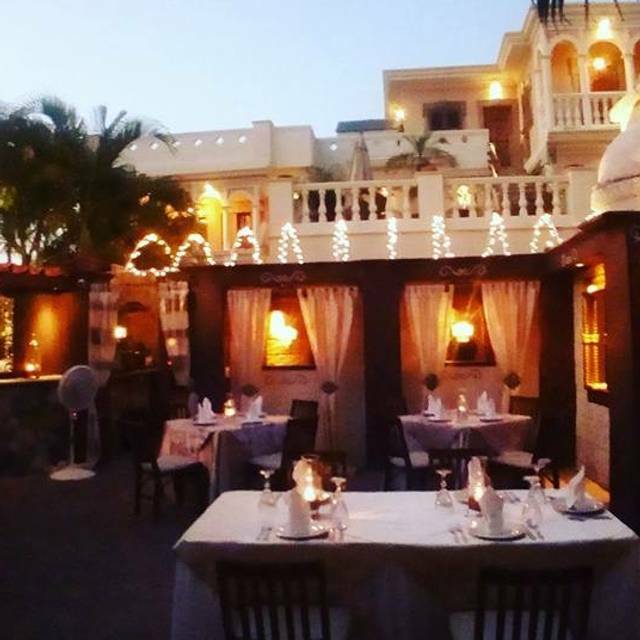 The food was overpriced and we went to other amazing restaurants like Sufi and Seabreeze with amazing food and incredible ambiance. Would not recommend. The prices are much too high particularly for pasta. The restaurant is out of step with other much better venues in Punta MIta. We would not return for this reason. Very overpriced meals. Wine list super expensive. Had 17:30 reservation. Showed up on time. Lady hostess (owner maybe) did not welcome but said have a seat. That was it. Waited 20 minutes for table. I think the proper greeting would include a “how are you this evening” and maybe “your table is just being prepared, would you mind sitting for a moment”? There seem to be a lot of regular expats that enjoy this restaurant, and the owner spends most of her time gladhanding the regulars. Here’s a hint: try to make ALL your guests feel welcome. It’s pretty basic hospitality. Food and service was great. We were surprised to find a charming Italian courtyard inside. The prices on the menu were higher than what we were actually charged when the check came, and yet I feel it was still overpriced compared to other fine dining options in the area. Also it appears that they charge an additional 10% if you pay by credit card. My wife and I went while we were in town on vacation. We had heard great things about the restaurant. It was better than even we had been told. 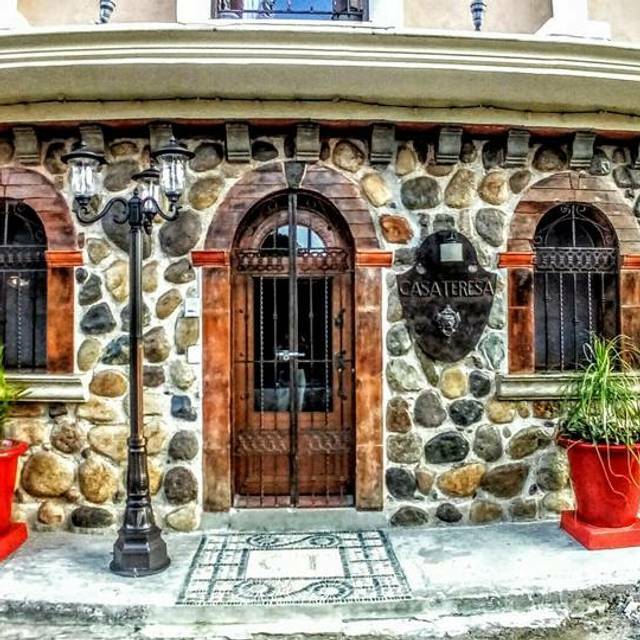 We highly recommend Casa Teresa. It was tremendous! Utterly awesome in every way. A must in Punta Mita. Fantastic meal in an enchanted place..the best surprise ever. I come to this restaurant every year. The family is always so happy to see me, and vice versa. 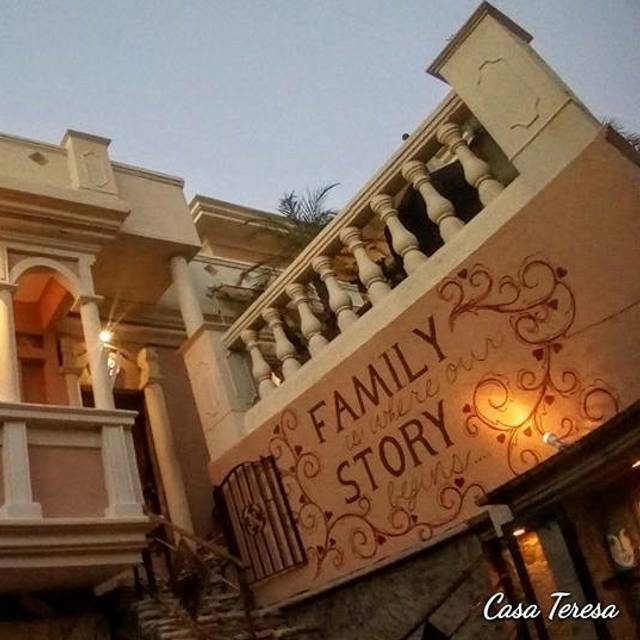 Love the family; love the atmosphere; and love the Italian food. Great little gem down the end of a side street. Authentic from the start: Teresa (Nonna) and her daughter Nadia know what they're doing! 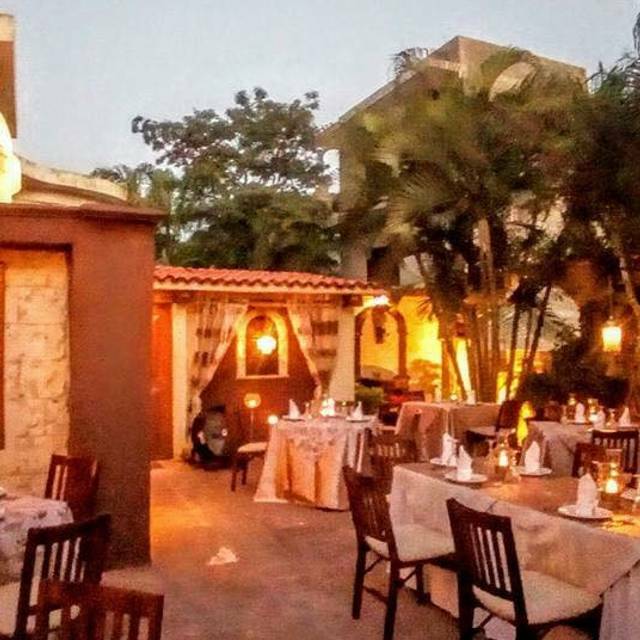 The food is amazing and authentic, but they have created a gem and niche in the small town of Punta de Mita that is a MUST on your restaurant rotation. The restaurant (built by Nadias father) is gorgeous with great character. The owners/family/staff are wonderful and friendly and knowledgable. Our only regret is eating here only once on our 9-day stay in Punta de Mita! We have been having our annual family Christmas dinner at Casa Teresa for years. We considered them part of our extended Italian family. Their food is good and service is good. However this year we noticed they "padded" the bill. This is something you might expect in Cabo or Puerto Vallerto however not in our very family friendly town of Punta Mita. We have been home owners in Punta Mita for years and we hope this was an anomaly. We hope that you do not have to double check your bill and will not feel violated when someone feels they can take advantage of you. Sadly my family will find another place for our Christmas dinner. Simply amazing! Amazing service! Amazing food! Amazing place! We were on vacation in Punta Mita, Mexico and found this amazing restaurant. They change their menu daily, depending on the fresh ingredients they find at the local market. 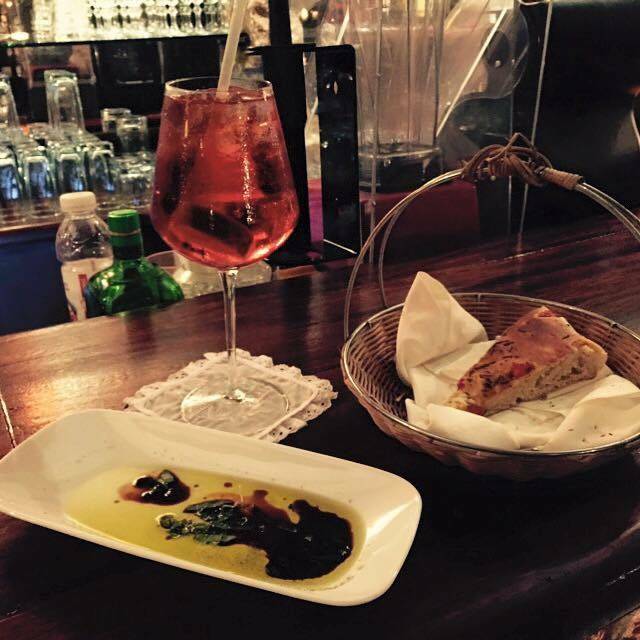 It is authentic Italian food that is truly farm to table, and you won't believe the mind blowing fresh flavors. I told my husband, we had to come to Mexico to get amazing Italian food, and we live in Los Angeles. The owners are friendly and welcoming to all and great people you want to be friend with. We will go back again and again. Great food. Home made pasta and lasagna to die for. Best part were the owners Nadia and Martin. Nadia is a great personality and is the life of the restaurant. Best dining experience at Punta Mita. Highly recommend. Extremely friendly service! Excellent dishes from octopus appetizer to papparedelle with osso bucco to chocolate brownie dessert! Ambiance is wonderful as well! What a beautiful evening! Owners are great people and the food delicious!! Fantastic as always! Nadia is a great host and the food is outstanding. Found this place on vacation while staying at the St. Regis in Punta Minta. Read a few reviews and decided to give it a try for dinner with my wife. We were extremely happy with the food and service. 15 layer lasagna and the gnocchi were some of the best we've ever had. Management (owners-family) went out of their way to ensure we were taken care of. Besides being a great place for couples, it is also family friendly as we saw a few larger groups with kids dining as well. We definitely will go back on our next visit to Punta Minta. Wonderful staff. Wonderful wine. Wonderful food. You feel like you are in an Italian courtyard. 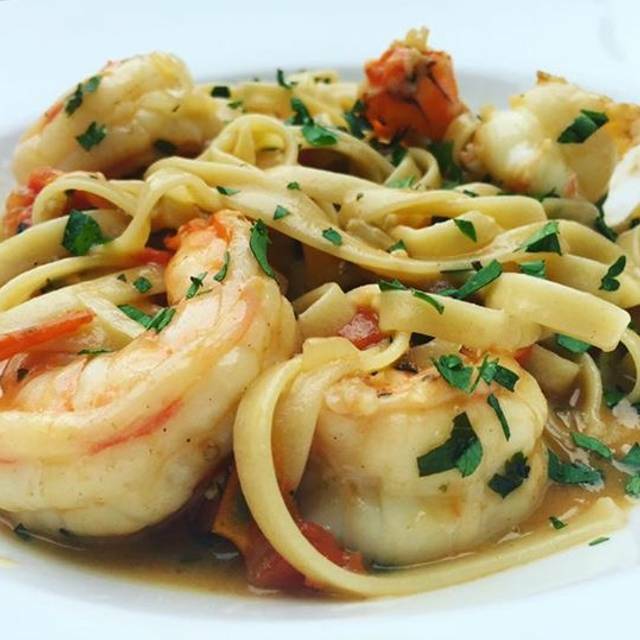 THE best Italian food I’ve had in the world (and I’ve been to Italy!). I love that it feels like you’re going over to Nadia and Teresa’s home for dinner. This is a highly recommended place to eat in Punta Mita! Beautiful setting with candles, pretty lights and elegant table setting. I would recommend using far less vinegar on the calamari salad though. Tasted like straight vinegar on it....too overpowering. I’m not sure what it would be like on a normal night. We were there on New Year’s Eve and it was extremely loud. The restaurant had place horns on each table and almost every table had children blowing horns while we tried to have a conversation with our family. It was less than desirable. There is also no view. The staff was very nice but a little more casual than I expected. I don’t think I would go here again even though the food was pretty good. There are other restaurants with better food and better ambiance. 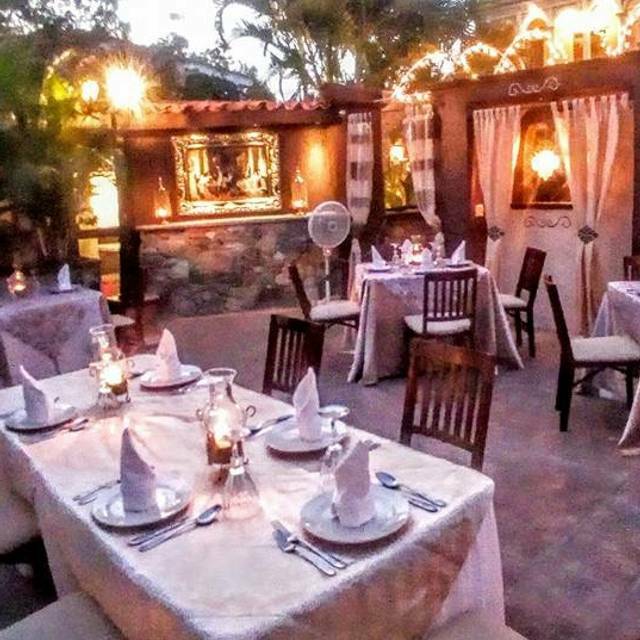 But if you really want Italian food while you are in Punta de Mita, you will not be disappointed with the food. What a wonderful experience. We had a lovely evening with friends, before they departed to go back to the US. Great food. Love, love, love the food, the service, the ambiance. Teresa was delightful and her daughter Nadia was a gracious host. We will be back for sure! Hidden Gem! Had the 15 Layer Lasagna and it was Fantastic! My friend had the gnocchi and they were light and fluffy to Perfection! 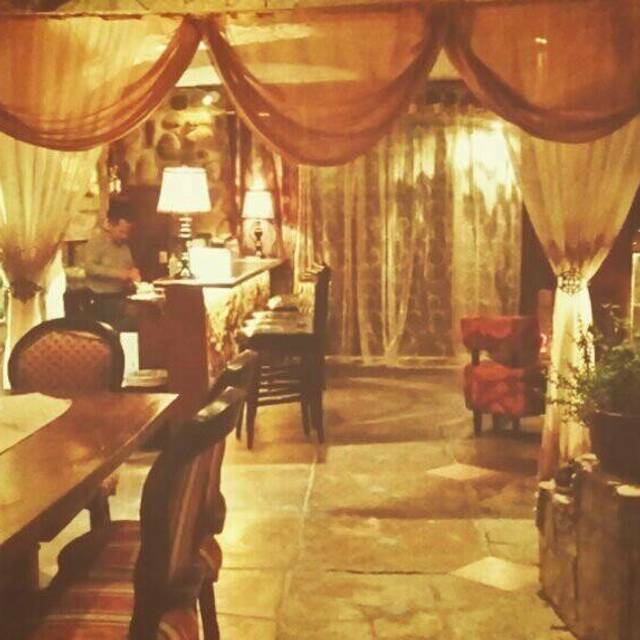 Good Italian food for Mexico.Beautiful restaurant that makes you feel that you are in an Italian Villa. Stick with the pasta dishes and the red sauces. It's a "tourist trap". Decor is like a Disneyland house of terror, pretending being fine italian: horrendous! Food is normal but prices are very high! We really enjoyed our experience! The service was amazing and food delicious! Highly recommend!